The new movie "Selma" recounts the crucial civil-rights events of 1965 led by Martin Luther King, which created momentum for adoption of the Voting Rights Act. Westport News film critic Susan Granger reviews the new movie, "Selma:"
Ava DuVernay's Oscar-nominated film about the voting-rights struggle of 1965 is not only timely but relevant, given the continuing racial turmoil over the deaths of Trayvon Martin, Michael Brown and Eric Garner. The historical drama begins with Rev. Dr. Martin Luther King Jr. (David Oyelowo) receiving the 1964 Nobel Peace Prize in Oslo, then meeting in the Oval Office with President Lyndon B. Johnson (Tom Wilkinson), whom he urges to support passage of a national Voting Rights Act. To underscore the need for change in March 1965, King and his Southern Christian Leadership advisors travel to Selma, Ala., for a peaceful, non-violent protest -- then boldly march 50 miles from Selma to the state's capital of Montgomery. Stressing that raising white America's consciousness is as crucial as organizing black communities, King outlines his three principles of protest: "Negotiate, demonstrate, resist." Hideous brutality erupts. Opposition comes not only from Sheriff Jim Clark (Tim Houston) and his posse on the Edmund Pettus Bridge but also Alabama's contemptible Gov. George Wallace (Tim Roth). Determined to discourage King by monitoring his movements and disrupting his marriage to Coretta (Carmen Ejogo), FBI Director J. Edgar Hoover (Dylan Baker) leaks secret recordings of King's adulterous liaisons. First-time screenwriter Paul Webb and director Ava DuVernay ("Middle of Nowhere," "I Will Follow") ambitiously condense years of anecdotal history into solemn, yet stirring expository dialogue and introduce supporting characters whose specific purpose is to embody differing points-of-view. Co-producer Oprah Winfrey plays an elderly churchwoman unable to register to vote. David Oyelowo's powerful, provocative portrayal electrifies. Born in Oxford, England, to Nigerian parents, Oyelowo astutely reflects King's oratorical cadence and canny political strategy. Had King not been assassinated in 1968, just three years after the Selma march, he would have been 86 on Jan. 16. As for the controversy over the depiction of Johnson, it's not unusual; debates about historical accuracy also plagued Steven Spielberg's "Lincoln" and Kathryn Bigelow's "Zero Dark Thirty." 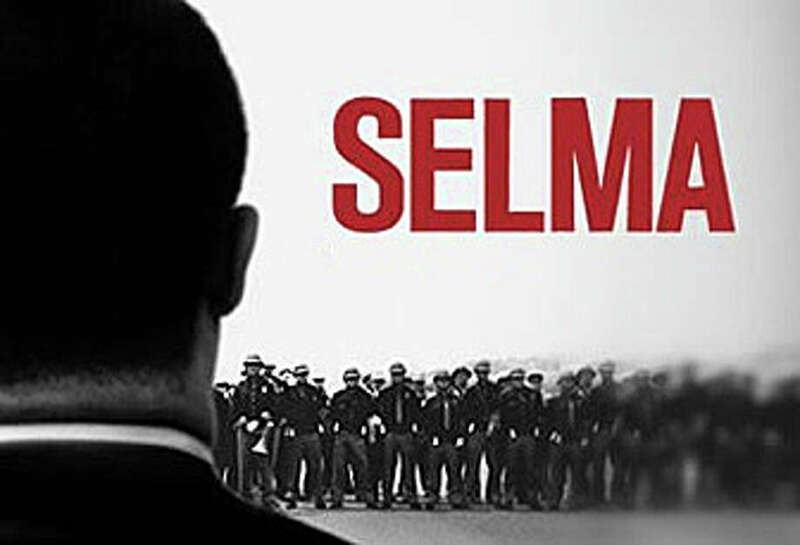 On the Granger Movie Gauge of 1 to 10, "Selma" is an inspiring, impassioned 8, delivering Martin Luther King's reverberating message of perseverance.